Although RIM, the maker of once mighty popular BlackBerry smartphones, is slowly losing grip on the U.S. market, there are countries around the world where its popularity has stood pretty high. In particular, the brand is still quite sought after in Asian and Middle Eastern markets, such as India, Thailand, Singapore, Indonesia, the Philippines, Saudi Arabia, and the United Arab Emirates. And it seems like the company will be using that to its advantage. RIM will be opening a 1,500 square feet flagship BlackBerry store in Dubai in partnership with local carrier Axiom Telecom. Word comes from Sandeep Saihgal, who is in charge of RIM’s Middle East business affairs. “We’re getting the first one up and running and then we’ll be looking at other cities across the Middle East -- Saudi Arabia, Kuwait, Qatar,” he revealed on Monday during an interview. First time smartphone buyers are what RIM will be aiming for, and its marketing strategy might just work, considering how popular the brand is across the region. 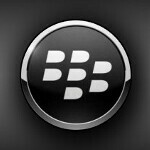 The free BBM instant-messaging software will also be used as an advantage over the competition. Once the Middle East has been conquered, RIM might expand even further in Africa, with Nairobi, Kenya, and Lagos being among the markets that the company will be promoting its business in. Sounds like a pretty optimistic plan to us, but will it manage to bring RIM out of the red zone is something that only time will tell. The company recently announced some pretty grim financial results, after which a number of its executives abandoned ship. What makes matters worse is that RIM's hardware department may be currently losing more money than it generates.